Temple is a town in Hillsborough County, New Hampshire, United States. The population was 1,366 at the 2010 census. It is home to Temple Mountain State Reservation, and formerly home to Temple Mountain Ski Area. The area was first called Peterborough Slip, which included what is now Sharon. In 1768, it was incorporated by colonial Governor John Wentworth, who named it after his lieutenant governor, John Temple. 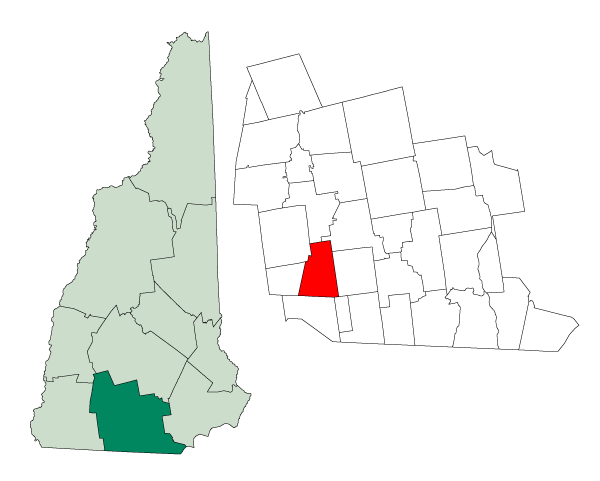 The town of Temple, Maine was in turn named for it. Temple Glassworks was founded here in 1780 by Robert Hewes of Boston. Although the company is long defunct, surviving examples of Temple glass are today rare and prized collectibles. By 1859, the town's population was 579, when Temple had two sawmills, one gristmill, and a tannery. Terrain is generally uneven and rocky. It is also elevated, commanding distant views to the east and south. As John Farmer and Jacob Bailey Moore wrote in 1823, "From the highest point of elevation, twenty meetinghouses may be seen when the atmosphere is clear." According to the United States Census Bureau, the town has a total area of 22.4 square miles (58.0 km2), of which 22.2 square miles (57.5 km2) is land and 0.2 square miles (0.5 km2) is water, comprising 0.96% of the town. The highest point in Temple is 2,190 feet (670 m) above sea level, on an eastern spur of South Pack Monadnock Mountain. South of Route 101, 2,045-foot (623 m) Temple Mountain forms the town's western boundary for several miles. As of the census of 2000, there were 1,297 people, 440 households, and 347 families residing in the town. The population density was 55.8 people per square mile (21.5/km²). There were 465 housing units at an average density of 20.0 per square mile (7.7/km²). The racial makeup of the town was 98.00% White, 0.31% African American, 0.31% Native American, 0.31% Asian, 0.54% from other races, and 0.54% from two or more races. Hispanic or Latino of any race were 0.69% of the population. There were 440 households out of which 42.3% had children under the age of 18 living with them, 67.5% were married couples living together, 6.6% had a female householder with no husband present, and 21.1% were non-families. 16.4% of all households were made up of individuals and 5.2% had someone living alone who was 65 years of age or older. The average household size was 2.91 and the average family size was 3.24. In the town the population was spread out with 29.8% under the age of 18, 5.8% from 18 to 24, 30.7% from 25 to 44, 25.3% from 45 to 64, and 8.4% who were 65 years of age or older. The median age was 37 years. For every 100 females there were 102.7 males. For every 100 females age 18 and over, there were 106.3 males. The median income for a household in the town was $56,500, and the median income for a family was $64,297. Males had a median income of $36,563 versus $29,545 for females. 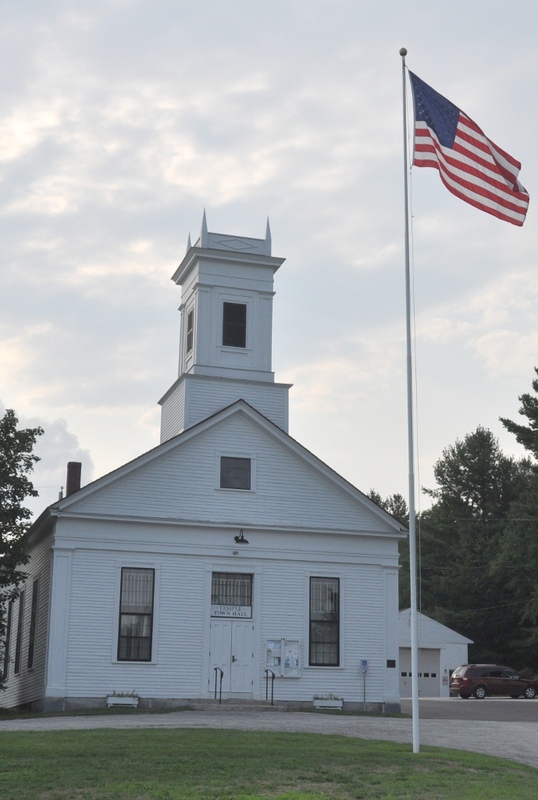 The per capita income for the town was $21,897. About 2.8% of families and 6.4% of the population were below the poverty line, including 4.2% of those under age 18 and 4.5% of those age 65 or over. ^ "Profile for Temple, Maine". ePodunk. http://www.epodunk.com/cgi-bin/genInfo.php?locIndex=2374. Retrieved 2010-04-18. ^ a b Coolidge, Austin J.; John B. Mansfield (1859). A History and Description of New England. Boston, Massachusetts. pp. 664. http://books.google.com/books?id=OcoMAAAAYAAJ&lpg=PA9&dq=coolidge%20mansfield%20history%20description%20new%20england%201859&pg=PA664#v=onepage&q=&f=false. ^ "Geographic Identifiers: 2010 Demographic Profile Data (G001) - Temple town, New Hampshire". U.S. Census Bureau American Factfinder. http://factfinder2.census.gov. Retrieved November 14, 2011. This page uses content from the English language Wikipedia. The original content was at Temple, New Hampshire. The list of authors can be seen in the page history. As with this Familypedia wiki, the content of Wikipedia is available under the Creative Commons License.